My grandmother, Nana, as a teenager in northern Ontario. On September 17, I will set foot in Ireland, land of my ancestors, for the first time. My trip is the culmination of more than a year of planning and research — and it’s all part of The Gathering, a massive, year-long tourism initiative to celebrate Irish culture and bring the Irish Diaspora back to the homeland. My Nana is the reason I have long wanted to go to Ireland. When I was growing up in southern Ontario, my grandmother, Nana (born Monica Whelan), lived with us and was like a second mother to me. I always thought there was something very Irish about her — despite the fact that she was 5th generation Irish-Canadian. She died when I was a teenager, a huge loss for me. So, going to Ireland will, I think, help me feel reconnected to her — and to my roots, too. 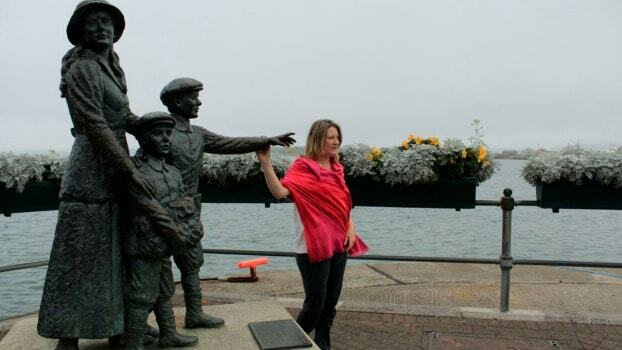 Will I feel at home in Ireland? Will I feel the call “of the blood?” Will I feel I am with my people? And will they seem familiar to me, because of my Nana? This is what I want to find out when I “walk the ground” of my ancestors. 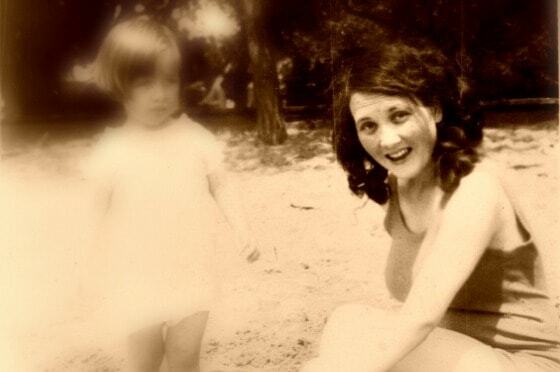 Nana was a very young grandmother, very youthful and decidedly glamorous, in my eyes anyway. She was kindly and loving; a talented seamstress and baker of sweets; and a captivating spinner of tales and stories. But there her resemblance to any typical notions of grandmothers end. Her sartorial style permanently inspired by the between-the-wars elegance of Wallis Simpson, Nana wore taupe a-line dresses, ropes of stunning costume jewelry, full makeup and long, tapered nails. At 60, she looked about 15 years younger, though she smoked a pack of Export ‘A’ cigarettes every day, often through a long, tortoiseshell cigarette holder. 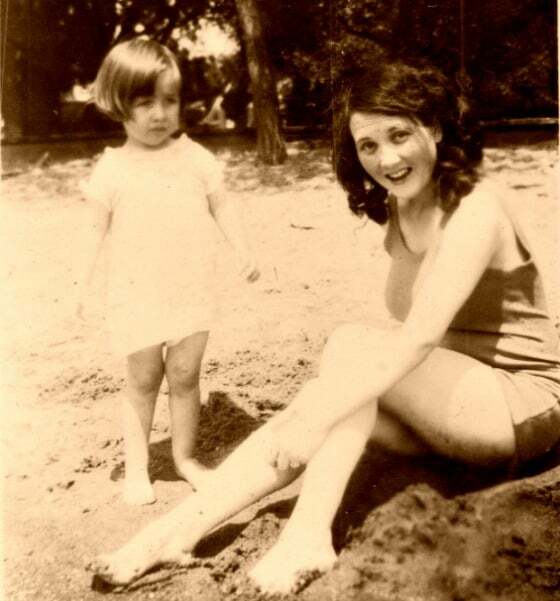 My grandmother, Nana, right, with her sister Elizabeth Whelan. At an age when I became conscious of these things, I sensed there was something very Irish about Nana, though she had never set foot in Ireland. Nana was born Monica Whelan in northern Ontario, the eldest of nine children. 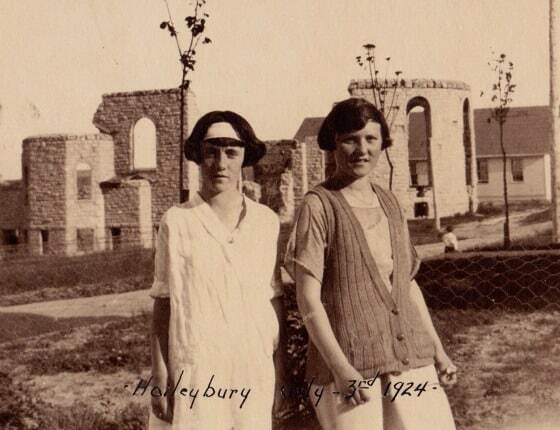 She was apparently the first baby born when Haileybury became incorporated as a town. Both her parents, all of grandparents and all of their parents and grandparents were of Irish descent. If you kids don’t behave, there’s going to be wigs on the green! But of course, I don’t really know if Nana was hard-wired to be Irish or not because I’ve never been to Ireland and I don’t know if her “Irishness” was something I sensed or something I made up. And the same is true for me. From what I know of typical Irish characteristics, I seem to have many of them: I love to talk, tell stories and embellish. I have strong feelings, a tendency to poetic pensiveness and a love of mythology. I love tea, horses and being outdoors. And I have a rebellious streak — I hate being told what to do — which apparently is DNA encoded: my ancestors came from Cork, which has long been known as a hot-bed of rebellion. Nana’s last name was Whelan, and that is the line I am tracing for several reasons. 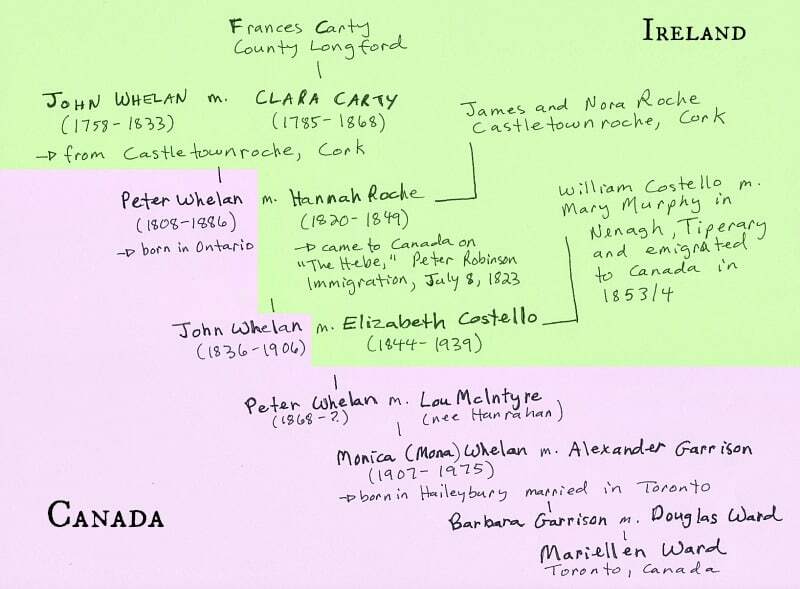 One is because of my strong family ties, and the other is because I have in my possession a fairly detailed history of five generations of the Whelans in Canada, going back to their roots in Ireland; and also going back to the Irish roots of several of the families who married into the Whelan tree. 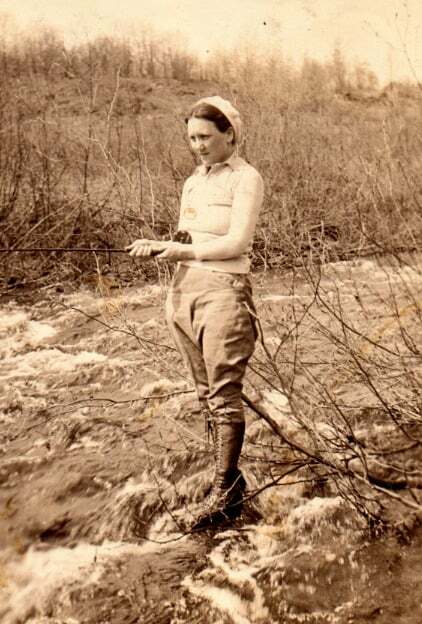 My grandmother, Nana, fishing in Canada. 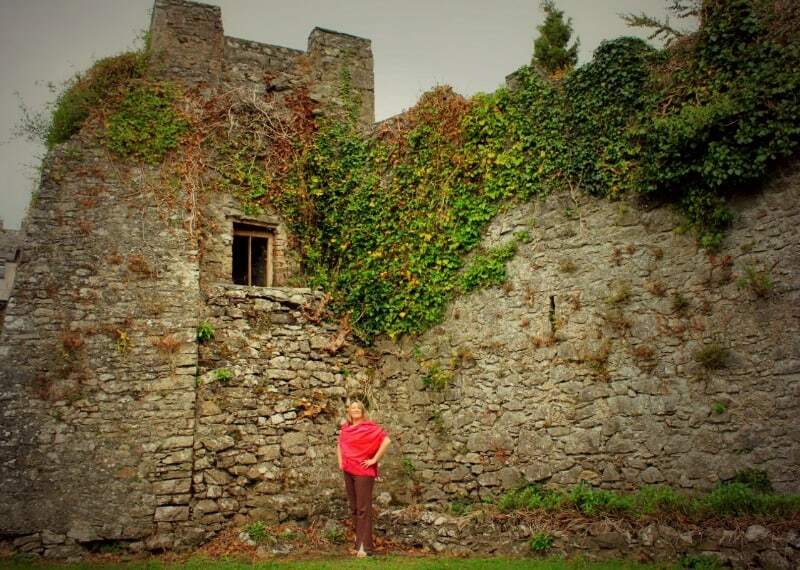 The first Whelan in my family tree to leave Ireland was John Whelan, along with his wife Clara Carty — I wrote about her in The Journey from Ireland and Back. I’m not sure when they left, but I assume around 1800. Several of their male descendents, born in Canada, married women who were newly off the boat from Ireland — most notably Hannah Roche (born 1820 in Cork) and Elizabeth Costello (born 1844 in Tipperary). Even with the help of a genealogist, I have not had much success tracing back these lines — the Carty family of Longford, the Whelans and Roches of Cork, and the Costellos of Tipperary. It’s just too far back, and I don’t have the wherewithal to undertake an exhaustive search. Nevertheless, since I know where they are from, I can still “walk the ground” they trod and enjoy immersing myself in the culture of Ireland, and the beauty of the countryside. The reason I am going to Ireland in September is because the Glasnevin’s Museum Whelan Family Gathering is taking place the week of September 16-23. Glasnevin Cemetery and Museum, Dublin, is a national heritage site. Founded in 1823, the cemetery encompasses 124 acres and 1.5 million burials, each bearing part of the story of Irish history. People from all walks of life, from famous politicians, freedom fighters and writers to the humble victims of the famine, the rising and the Air India bombing are buried here. I spoke with Mervyn Colville, Deputy CEO of Glasnevin Trust, about the family gatherings and the Whelan name. He told me they chose the 30 most popular, or common, surnames represented at Glasnevin and scheduled each for a different week so that people with that name could meet at Glasnevin and hold events. “It’s an open invitation,” Mervyn said. There are about 10,000 Whelans buried in Glasnevin cemetery. “It’s a big Dublin name,” Mervyn told me; but there are no events planned as yet. He also told me the name comes originally from Kilkenny and Waterford in the 10th and 11th centuries. “The Glasnevin museum was created to tell the stories of the people buried here,” Mervyn said. “So many stories. 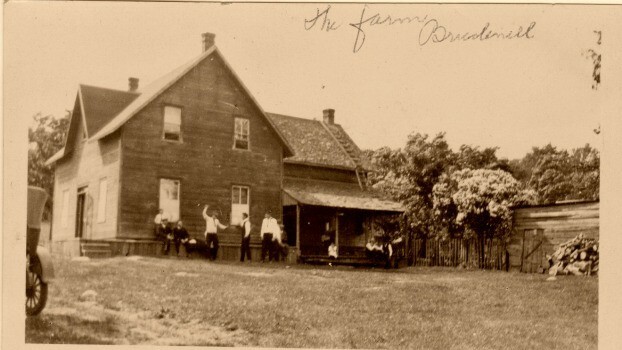 Some are sad and some are sorrowful.” Just like the history of Ireland, and the history of my own family, who left the country to find freedom from political oppression in the wilds of the Canadian bush. And now I am reversing the journey. 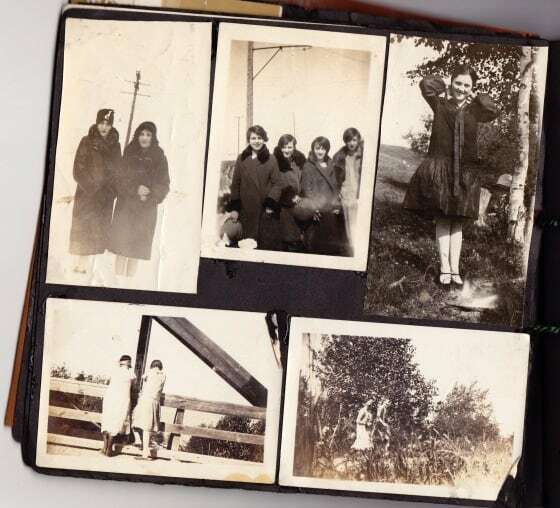 My grandmother, Nana, as a teenager in Canada.